Empowering employees to help institute change is critical in the realities of today's federal workforce. Leadership is all about producing results. To produce good results, a leader needs human and financial resources, both of which are often in short supply in the federal government these days. This is a common challenge most leaders face in their careers. Yet, expectations do not change—leaders must still produce results regardless of a scarcity of assets behind the scenes. Federal budgets are not growing, and with the economy approaching full employment, everyone is competing for limited resources. How can a leader be expected to accomplish their agency’s mission under these challenging conditions? It’s not easy, but there are some strategies that work well. If everything is a priority, nothing is a priority. Leaders must establish priorities for their teams and ensure that top priorities are addressed first. Once those matters are successfully handled, repeat the process by continually re-evaluating, responding nimbly to fast-shifting priorities. Devote your best resources to your highest priorities. Sometimes the best people are given unimportant problems to solve, or are sidelined by keeping old and broken processes functioning. This is not only a misuse of valuable talent; it creates a gap in job satisfaction that often results in employees seeking opportunities elsewhere. It is also a common mistake for teams to establish priorities without considering the agency’s broader mission and goals. This creates misalignment in the organization and drains resources. Ensuring priorities are aligned with overall strategy means being ready to right the ship when things get off track. Think Strategically – What Can We Stop Doing? Management consultant Peter Drucker has always advised to look at everything you are doing and answer one simple question: “If we were not already doing this, would we choose to start doing it today?” In many cases the answer is no. · What should we start doing? · What should we keep doing? · What should we stop doing? Old ways can become deeply embedded into the culture of the team, and changing culture is the most challenging obstacle in effecting change. But culture is the domain of leadership. 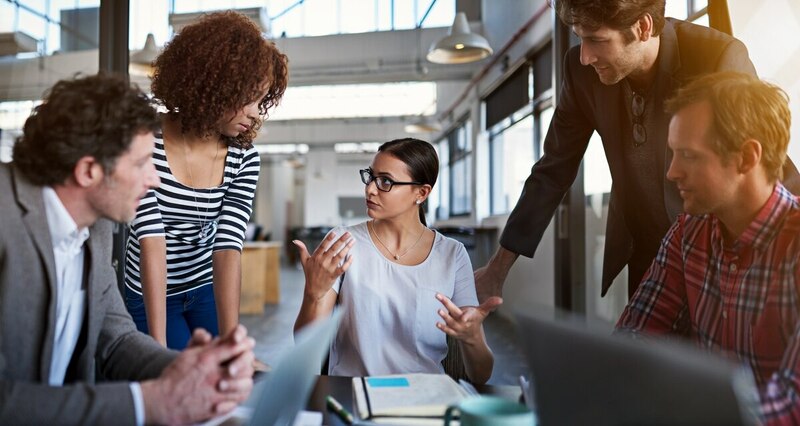 Although it is initially difficult to make inroads in established culture, it is the leader’s responsibility to have regular conversations with the staff, sharing rationale behind a new direction to garner buy-in. Most people assume that if “their” process is no longer necessary, they are no longer needed. However, focusing on the status quo only creates the illusion that more people are required to get the job done. By reevaluating priorities and eliminating outdated initiatives, there are likely more than enough resources to focus on the needs of today—and more importantly, tomorrow. Every agency has a formal organizational structure. Frequently that structure is inadequate or reflects fallow needs. As new processes are created to address and adapt to new laws and regulations, they are often layered onto the old structure, sometimes creating unrealistic workflows that meander through disparate parts of the organization. This is why organizations must continually review their organizational charts to see if they still make sense. Without restructuring, departments become misaligned and culture and quality of work suffers. Human resources department and labor relations staffs are key to the restructuring process. It is safe to assume that an organization that has not been restructured in the past five to seven years is operating in the past. Adding staff to processes that are already broken or were designed for yesterday’s challenges are spinning wheels, not making progress. Every organization needs a productivity strategy. Without one, there is a natural tendency to continue to do what we have always done because that is how we have always done it. In recent years, Lean Six Sigma has been a popular tool to fix broken processes and design new ones. However, a simpler approach may be to empower staff to bring forward the changes needed to solve problems and update unneeded processes. Who knows better than the people charged with getting the work done? The less an agency has to do to produce results, the better it functions and supports the mission. Make these strategies part of your culture and begin to do more with less. Gary Crane is an executive coach at the Harvard Business School Executive Education program and works individually with executives and leaders in his own coaching practice.